What is “the cloud” and what does it do? When we first think of “the cloud” we either think of those white, fluffy things we used to pretend were animals or the annoying message that pops up on our phones asking us to purchase more cloud space. You may not have any idea what it really is but the truth is that we use the cloud almost every day and don’t even know it. 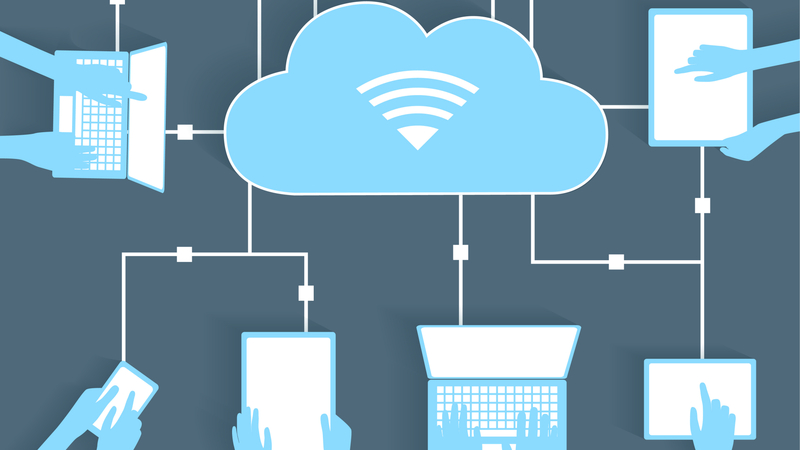 Some examples of cloud services are Google Drive, Netflix, and Apple iCloud. They basically allow you to save information online, allowing you to access it later without having to take up data on your devices. It lets you save a file in Google Docs from work, allowing you to continue editing it online via your phone or home computer and even allows you to collaborate with coworkers at any time. Now that you know what it is, how can moving to the cloud benefit your business? By storing files in the cloud rather than on-site, you save thousands of dollars by not having to invest in hardware. Not only is hardware costly, they also require upkeep and need to be replaced after a few years. Investing in the cloud allows you to focus your efforts on your business. As someone who runs a business, you already understand the importance of backing up your data so you don’t lose anything in case anything were to go wrong. The cloud not only makes it easier for you to save as it updates your information automatically as you work, but also keeps your information in a safe place that won’t be impacted by any theft, malfunction, or disaster. One of the largest benefits of working on the cloud is being able to access your work from anywhere. This means that anyone in your business can access their work information if needed online from anywhere. The final benefit to cloud technology is that it can change to fit to your mold. The cost of cloud storage to you will change only based on how much space you need. The amount of storage you have access to will change and grow as your business does, ensuring you never need to update or buy additional hardware to fit your storage needs. CIOTech offers reliable hosting and server solutions designed to provide cost-effective data protection solutions for your business. To find out more about how CIOTech can help you make the switch to the cloud, click here.